Indeed, it does. 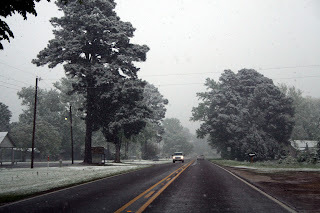 Welcome to my new blog, Sometimes It Snows In April. This isn't my first attempt at blogging, but hopefully this will go better (i.e. a little less insane) than my last blog. I made the mistake of rambling last time, but I won't make that same mistake here. So, here's one of the standout tracks from Sunset Rubdowns stellar Random Spirit Lover, 'Colt Stands Up, Grows Horns'. The very creepy piano(?) at the end is brilliant. I like it. I really enjoyed your other blog. I'm glad you still have the bug. wonderful album.... I'm pretty hooked on it! Welcome back, missed ya, my man... I'll update my link. I am in the process of rambling incoherently for long stretches of time on me blog meself, maybe I'll learn someday soon. This album is crushes like a Leopard(two puns in one folkies). Can't wait to get the actual LP in my hands. Good luck with your efforts here.